Turn your desk into an ergonomic workstation with this sit-stand monitor arm, for one monitor up to 24"
This sit-stand monitor arm transforms your desk or tabletop into an ergonomic workstation. 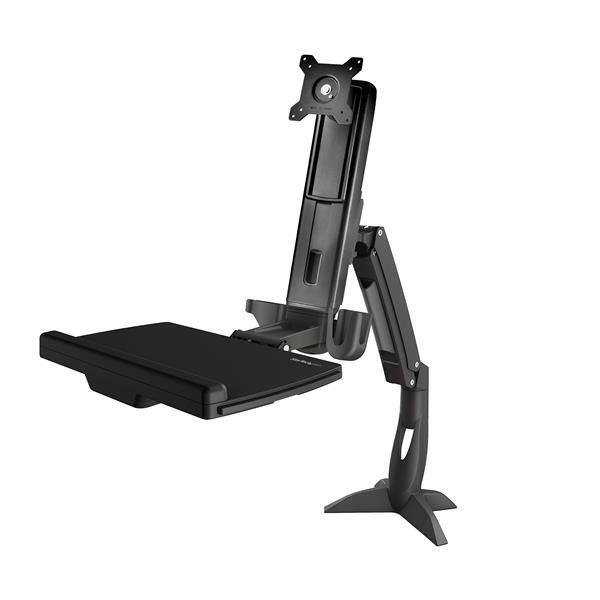 The monitor arm features a keyboard tray and easy height adjustment that lets you alternate between sitting and standing, without interrupting your workflow. Move your workstation up or down, left or right, to meet your needs. Adjust your position, with one smooth motion. Simply lift the work surface up to 17.7” (450 mm), to elevate both your monitor and keyboard. You can adjust the tension to your own preference. The monitor mount has a separate height adjustment of up to 4.9" (124 mm) along the column. This sit-stand monitor arm supports one monitor up to 24”. The swing arm swivels from -90° to 90° and tilts from -30° to 65° for ideal viewing. The VESA mount also rotates up to 360° for portrait or landscape orientation. 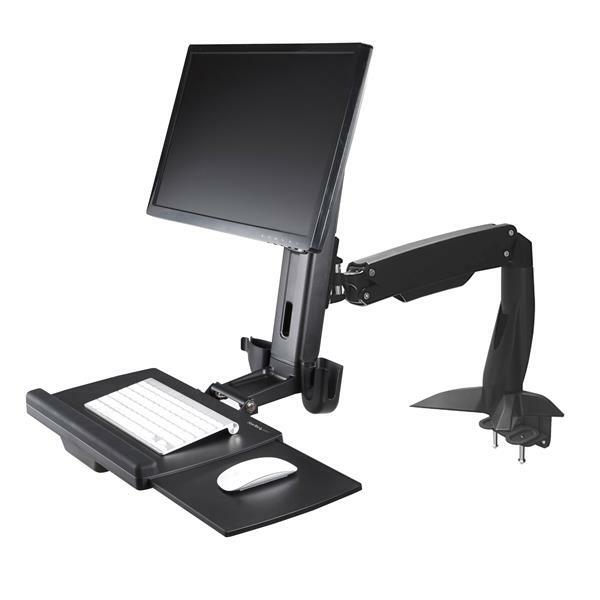 The monitor arm features a large keyboard tray (17.68 x 8.15”/ 449 x 207 mm) with ample working space. A slide-out tray (8.5 x 8.4" / 217 x 213 mm) holds your mouse, on the left or right. To make the most of your workspace, you can tuck the monitor arm away when it’s not in use, to free up space. The keyboard tray also folds up to 90°. 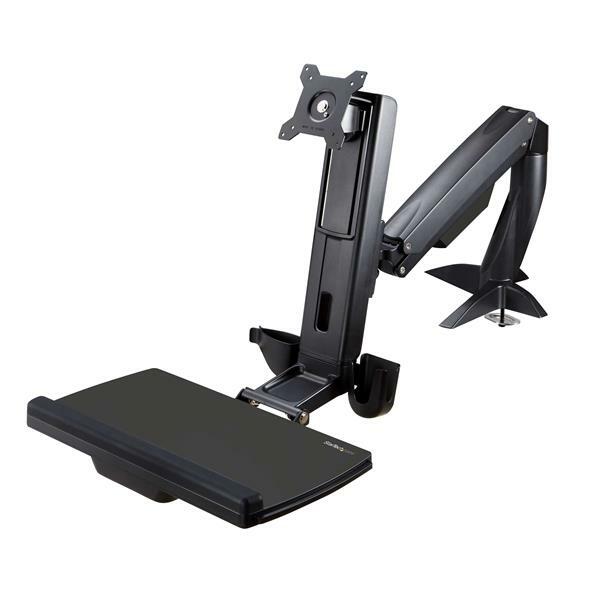 The compact sit-stand monitor arm features a grommet assembly and desk-clamp option, to fit easily into your workspace, including space-limited corners. The ARMSTSCP1 is backed by a StarTech.com 2-year warranty and free lifetime technical support.